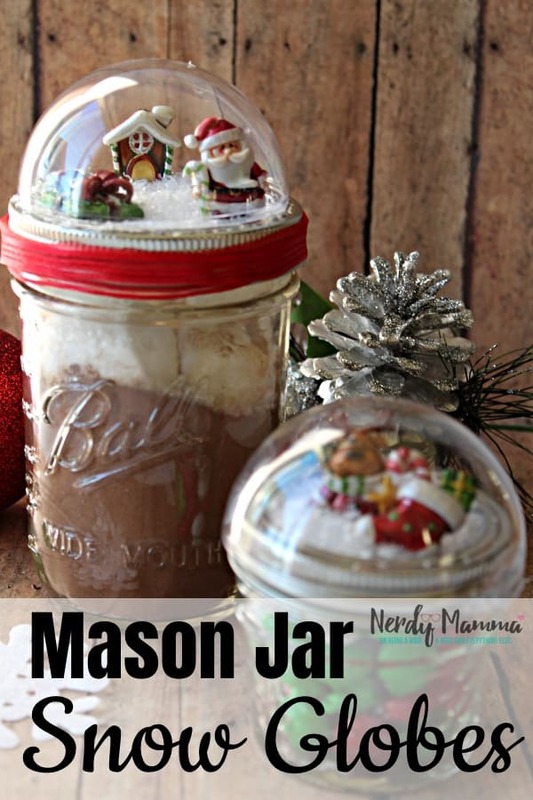 I cannot tell you how cute these DIY Mason Jar Snow Globes turned out. They are the cutest thing ever. I’m dying, they’re so cute. I wish someone had gifted them to me–but now I’m getting ready to gift them to EVERYONE on my holiday list!! For real, I mean look at that. A little scene of Christmas magical-ness and a all the snow you want to shove inside?! 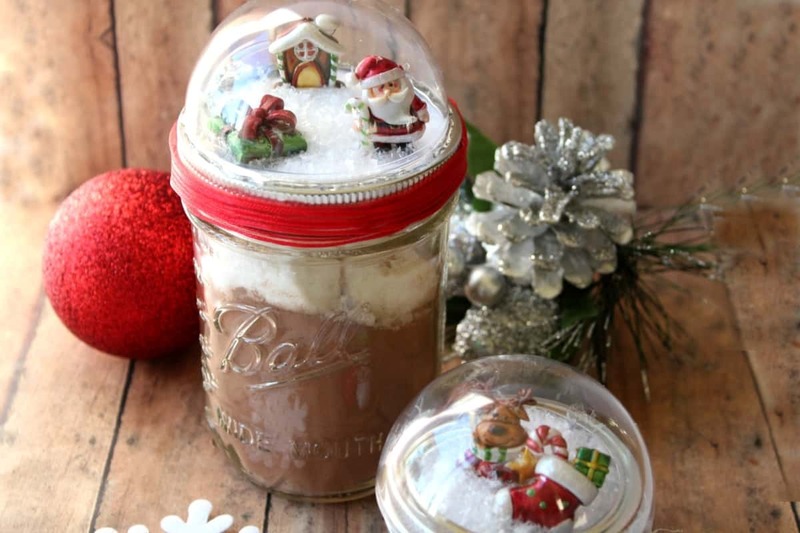 Yeah, these DIY Mason Jar Snow Globes are so killer-cute…just check out the little video I did. Cut the strings off the miniature ornaments. Using the lid of the Mason jar trace the inner circle part on the white paper. Cut the circle and hot glue it to the inner part of the lid. Create a scene by hot gluing the ornaments onto the white piece of paper that is attached to the lid. Add snow to your scene. Open your clear plastic ornament so it’s in two pieces. 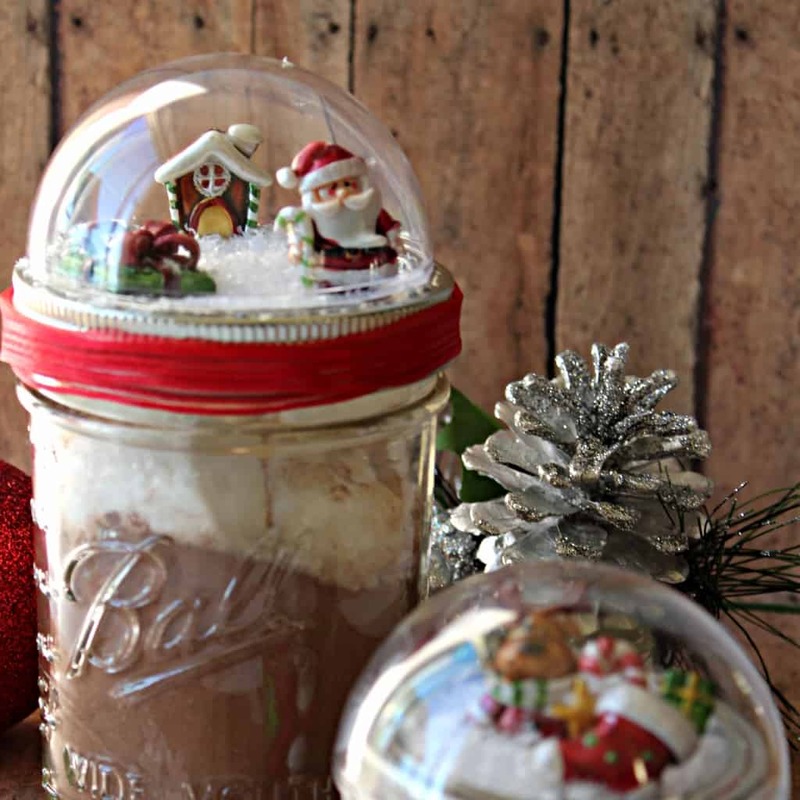 Attach one half of the ornament to the outer portion of the Mason jar lid. Place your dome onto the jar. There is a small part of the ornament that is meant to have the string attached to it. Be sure that portion of the ornament is at the back of the jar. Add whatever you would like inside the jar complete it. And quick, too. I think I was done in like 5 minutes, maybe. Most of the time was spent waiting for the hot glue gun to warm up.